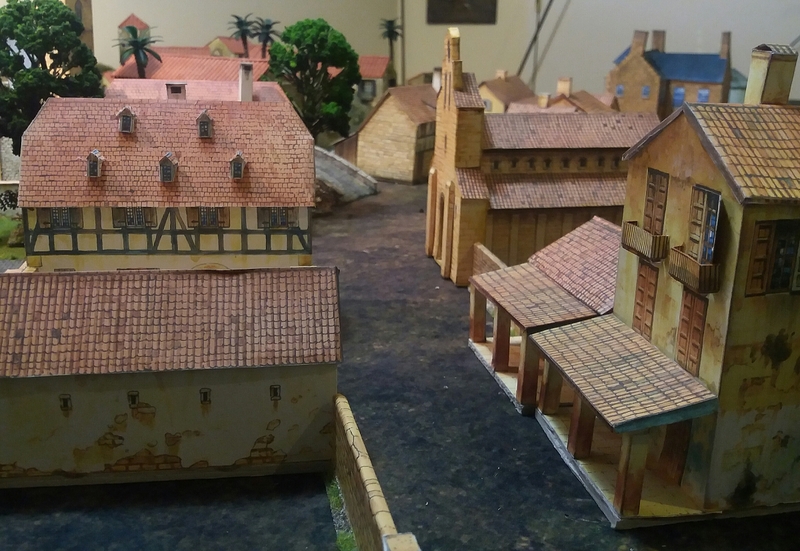 I've been busy making a number of paper buildings from Florian Richter and Peter Dennis's wonderful book 'European Buildings: 28mm paper models for 18th & 19th century wargames'. Lovely indeed. 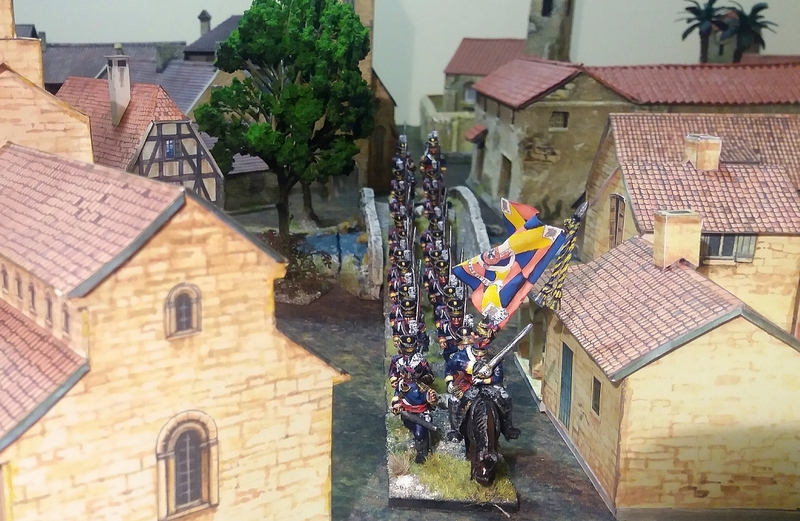 I have used paper buildings for a long time and recommend Schreiber Bogen too. The chateau – on the blog – does that come from the Helion package of buildings or from another source? Very nicely done. I have the book myself and use them to 'fill in' until I can find a more solid replacement. 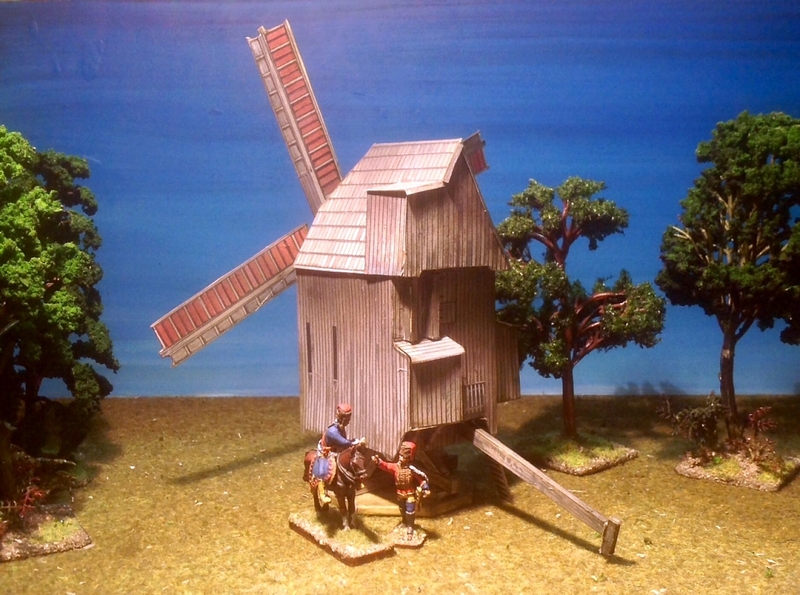 The windmills are especially useful as they are very hard to find in 20mm scale in plastic. They look great, and given that both resin and MDF can run $40 USD or more a building…..
Did you mount the parts on foam core? @Pan Marek: I use very thick card to strengthen the walls from the inside, and sometimes to base the buildings. This makes the models stronger and heavier. Though they'll still need to be handled with some care, as the chimneys and dormers will always be a bit fragile. I print on full-sheet label paper. I apply the cut printout's to 3mm cardboard, from the frame shop. It tends to warp, so I began gluing balsa wood square beams on the inside, to prevent warping. It works, but I think I can achieve better results by applying the full-sheet label cutout's to MDF, pre-cut into the proper shape. These can then be glued using Wood PVA Glue, for maximum strength, and sufficient heft. 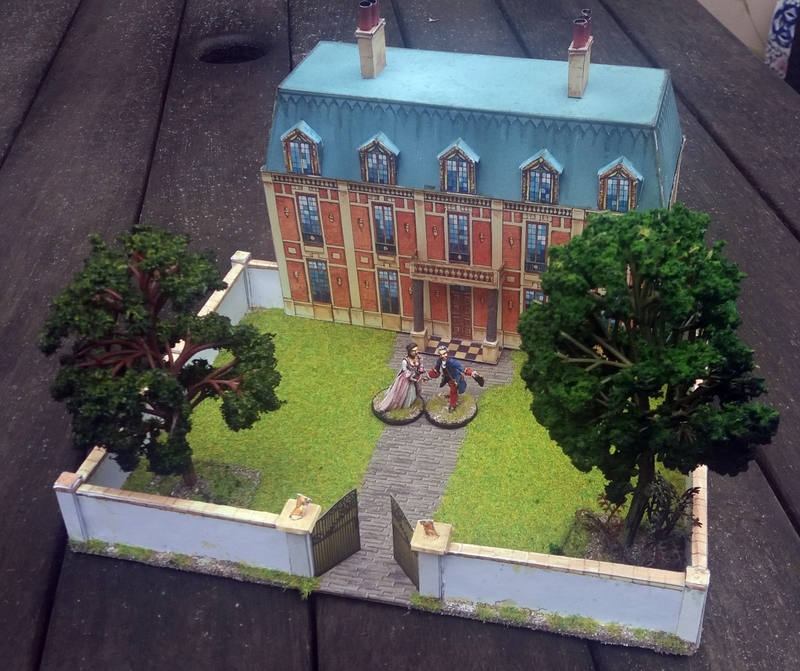 MDF buildings, faced with PDF building printouts, should be quite strong, look very decent, with no real painting required; they will have sufficient weight, and strength, for any 25-30mm figures I use. 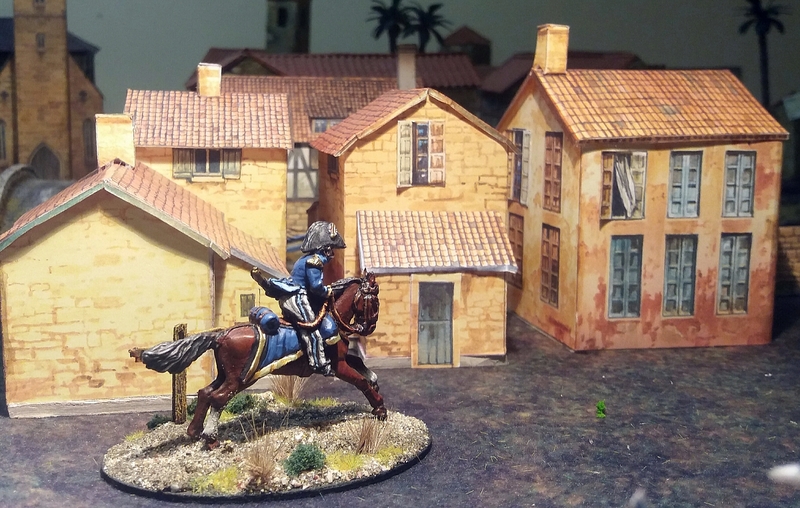 Heck, I plan on using the same technique for 54mm buildings. I made 110# cardstock buildings for several years. They were not durable, at all. They were easily damaged, flimsy, and very unsatisfactory, except for the appearance, and the zero painting factor. Building MDF constructs, with full-sheet label paper printouts, promises to be much more satisfying than the 3mm cardboard technique, which is good; MDF promises to be even better, as no warping will occur, so no reinforcement is necessary. Cheers! @Sgt Slag: Try using foamed PVC instead of MDF or Foam Core. If you make a 4" square box with 3mm foamed PVC and use superglue in the corners (like Plastcraft's ColorED range), you can stand on it. It's *that* strong! But you can cut it with a simple hobby knife, box cutter, or utility knife. Just bought this book at Vapnartak and made a start on a couple of models. I like this a lot. It's nice to have it clearly stated that you can photocopy for personal use as much as you like. And, unlike some card models, they are easily kitbashed. If you decide to leave off an extension, for instance, you're not left with an ugly white patch on the building that needs masking. I line mine with good quality mounting board. And my Spanish windmill had its card sail "hub" replaced with springy plastic strip and a dressmaker's pin, fitting into a length of plastic tube inside the mill itself. They should last years without taking major damage, but if they do, I can replace the damaged bits with fresh photocopies. I think they are slightly sub-scale for 28mms, but that works for me. I need a small footprint on the table. 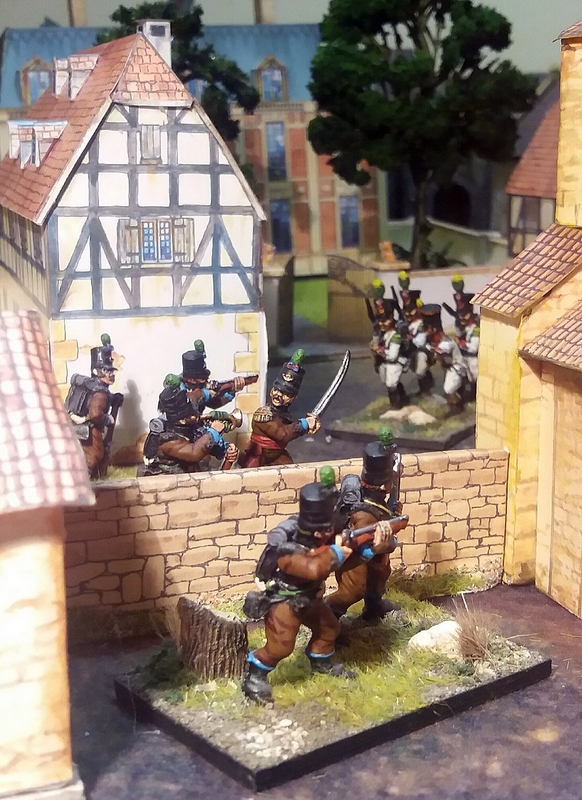 how well do they scale down to 15mm? They should do fine in 15mm, except that the dormer windows would become very fiddly. You could always leave them off.